Hi everyone!!! Havent been blogging for long.. Because usually, the more I procrastinate about something (like my Tioman Posts), the more I dont feel like doing it anymore!! Hahaha. WHICH I HAVE NONE!!! LOL. 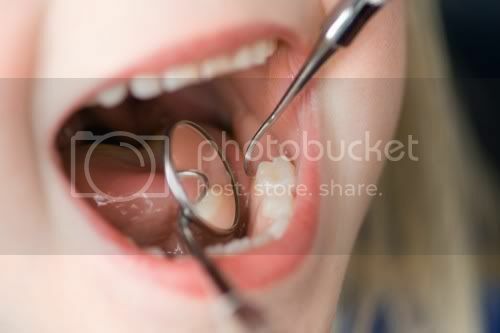 people always go for dental scaling and polishing once very 6 months.. And I have not visited the dental for 4 years!! And if you have been following my twitter and facebook quite closely.. I AM FINALLY STARTING ON BRACES!!!!! 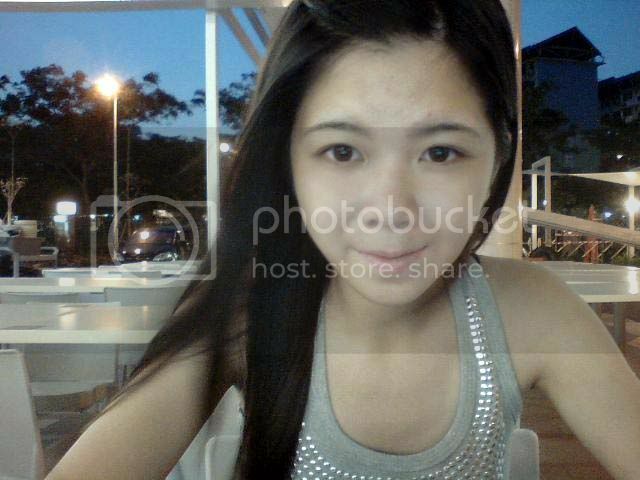 Actually, I did the outline of this post while waiting for boyfriend to end school yesterday at MDIS hence the webcam picture!! Mad windy = Mad cold. Decided to do a detailed blog post regarding my braces journey because there is so little information available online when I tried researching!! So maybe I thought I could share with my friends where I did it, what were the procedures, if there was any pain (or not!). Actually, an alternative method to traditional metal braces would be Invisalign! I know I know!! I am so tempted to do it, especially even so after reading Xiaxue's and DblChin's blog!! So much more advantages like no need for extraction, no ulcers from brackets abrasion, faster treatment time, no need to worry about what food to eat (or not) as you can take them out while eating and promptly put them back in after the meal! And all these for an additional SGD 2k!! Quite tempting, but since my family is not really a well to do one, going for braces is more like an additional burden on our financial status. Actually since I was in primary school (Primary 2) the school dentist had been asking me to go for braces!! And being a girl of course I'll be super mindful of my look!! And the thought of having metal braces in my mouth for 2 years gives me the shudder. When I finally gave in to doing braces (Primary 4), I dont know why but my dentist actually made retainers for me instead!! My teeth actually became neat after that, and kept bugging my mum by saying I could take them out because my teeth are so neat. (uses my tongue to go around my neat set of teeth). But soon after my teeth got slightly crooked again!! Tried putting back the retainers but found out that I actually grew out of it. =_______= and I kept thinking why hadn't my dentist ask me to go back for check up!! And thats it, its haunting me till now!!! Crooked teeth!! When I started my tertiary education I started to tell my mum I wanted braces again. But time and time she brushed it away until she started talking about it like a few months ago. Mum: Girl you sure you want to do braces? Me: I know I know I did research and Im prepared! And that point of time I knew she's considering about it already!! Yes like finally!! But I could also see the financial burden being there cause she's quite hesitant about the 4k++ treatment. Then having saw that, decided to only go for braces only when I am financially independent! Since my mum is agreeable, decided to faster go check out!! Remember Clarlynn did her braces at a dental clinic in Yishun called Orange Dental or something. And hence I tried googling for the number! And I stumbled upon a particular web!! 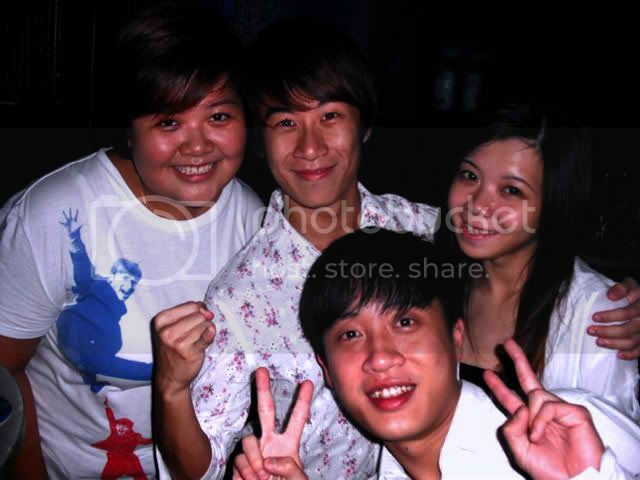 With most of the dental contacts in singapore! Yea and I called up Orange Dental Clinic to enquire about the price and installment plan. Then decided to randomly click a few clinic's name whom I think is nice to check out LOLOL. Came across Pinnacle Dental Clinic! Among the calls I made, Pinnacle Dental's hotline was promptly picked up by a nurse, sounded professional and was very clear regarding all the details I wanted! And best is that it is also the cheapest among all the other clinics I called! $3.500 for dental braces! Other clinics were $4000 or $4500 and up, or either is that nurses were unclear or some where I couldnt even get through their line! Called back Pinnacle after calling around and the nurse promptly arranged a consultation that afternoon! And I flew down via cab because I was running late. Lol. So I actually went down for my consultation (Tuesday) first to see what my dentist have to say. 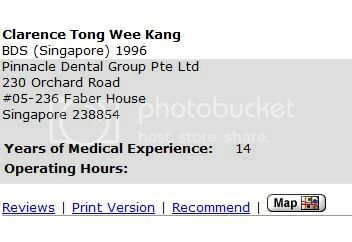 My doctor was Dr Clarence Tong! Consultation fees is $30, but would be waived if you decided to do braces at the clinic! The dentist was very nice. Explained to me about my current condition, and told me things I never even knew. You know what??? My top set of teeth has all shifted to the right!! Making my smile sort of like crooked!! It was like total revelation on the spot!! These few years I have been looking at the photos of me, wondering why my smile looks so awkward and weird in pictures!! Couldnt pinpoint the problem.. And this is why!!! My top set of teeth and bottom set of teeth, their middle line is apart!! Not one straight line! (pictures later) Yea and my dentist explained to me if I were to do treatment, what are the different steps, which might be needed for extraction, and what are all the costs! Very detailed. Thumbs up! Went back home and told my mum regarding it! And she was like, "are you sure this clinic can be trusted?" "anyone did there before?" "cheap but good or not?". Hahaha and thus I decided to go google about Pinnacle Dental Clinic and my dentist!! Turns out that my dentist had 14 years of experience under his belt!! I am under good hands! And went to gather some response on FaceBook and apparently someone also had their braces done there by Dr Sito and results are pretty! Btw, Dr Tong is only available at Pinnacle Dental (Yishun) on tuesday and thursday!! I think he also have some dentist work in Orchard or something. They have a few branches! So after much consideration, decided to go for my 2nd Consultation the following tuesday! Which is the tuesday this week! 5th April 2011. Was told that I would be making my mold impression for my teeth! The first step to braces because my dentist would need to study my mold in order to decide which teeth to be extracted would be the best for me. So my mum went there to understand about my condition from my dentist's mouth and with regards to the installment plan! So this time my dentist explained even more clearly to my mum. And here's the horrific truth: MY JAW LINE IS UNBALANCED!!! compared to my left jaw line, my right jaw line is actually shorter!! Which resulted in having lesser space in my left side of my teeth where even one of my teeth overlaps the other completely. It is like having one lesser tooth space because both are completely overlapping. 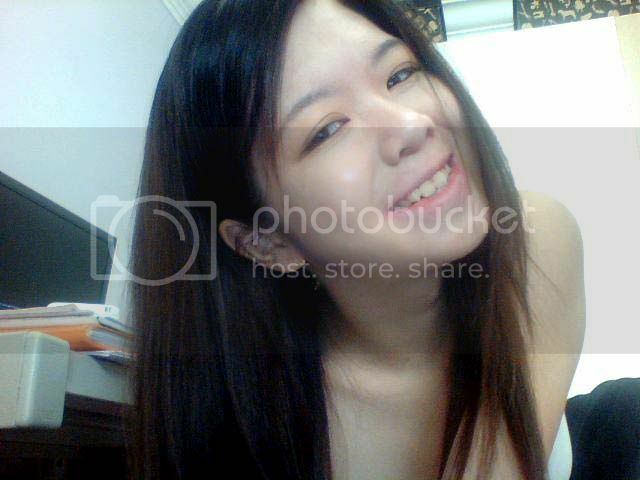 My mum thought that it was my teeth which anyhow moved which affected my face's jaw line. In fact it's the other way. My jaw line affected my teeth and thats why. Lol major FML moment. My mum was epic, she even asked my dentist how to treat the unbalanced jawline. And he replied saying that it can only be done throught cosmetic surgery aka plastic surgery. LOL. Such a obvious question!! 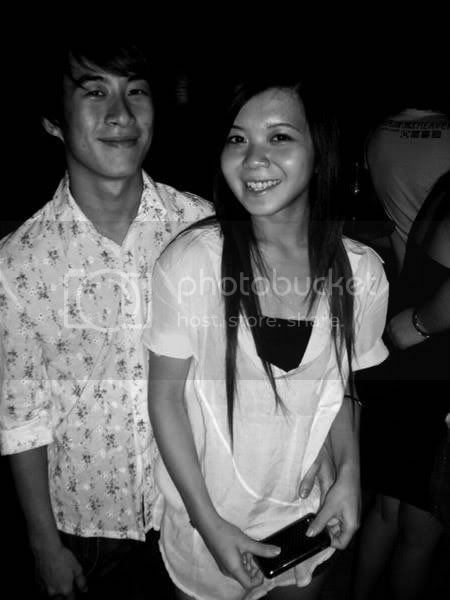 Where I think I looked major weird in photos with regards to my smile. can you see that my smile is more or less more slanted to the right side of my face??? ok clearer picture! I found this among my webcam photos! my teeth looks neat!! but NO!! Look clearer.. at my top set of teeth.. the middle line. Not in line with my nose!! (centre line of the face). Can see???? Dentist said my condition is abit complicated because there's alot limitations for me!! 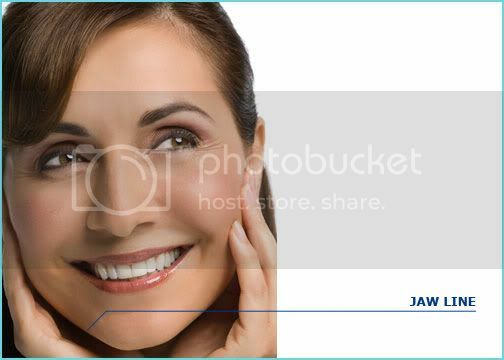 Bone limitation (jaw bone), small jaw, small mouth. Having a small mouth is also a major FML when it comes to making braces!! Let me tell you why below. We start off with the mold making!! These are actually impression trays, where dentist actually slather them thick with some substance like playdough and you were told to bite on them!!! Omg I freaking hate this part!!! 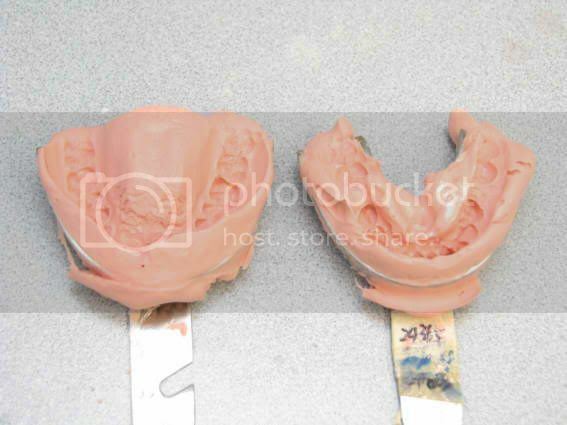 I also had to do the mold stuff when I made my retainers braces when young!! And I remembered I gagged on them. Horrible experience which I remember till now! I think its my reflex because I also gagged on them when I made them this time!! I think its my reflexes (FML again) because the dentist said it was weird because hardly people gag or feel like vomitting when biting down on the impression tray! But ok lah, this time was better because the substance smelled like strawberry! SEE HOW PEOPLE CAN BE SMILING AWAY WHEN DOING THEIR MOLD!! yea because I gagged on them, I had to redo them for both my upper set and lower set of teeth. FML seriously!! And after the hardest part is over (as told by the nurse) it is picture taking time!! I thought it would be more relaxing but NO MAN!!!!! this is THE part where you have to FYL if you have small mouths like me!! 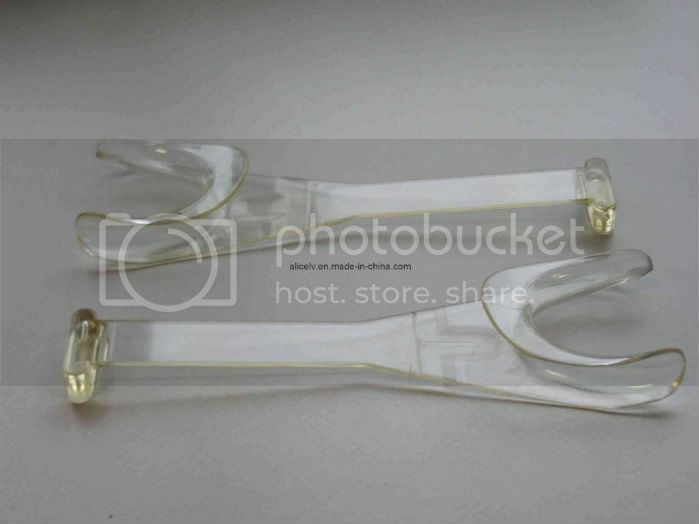 So while you have these cheek retractors in your mouth... the dentist will put another piece of mirror in your mouth to take pictures of the left and right side!! 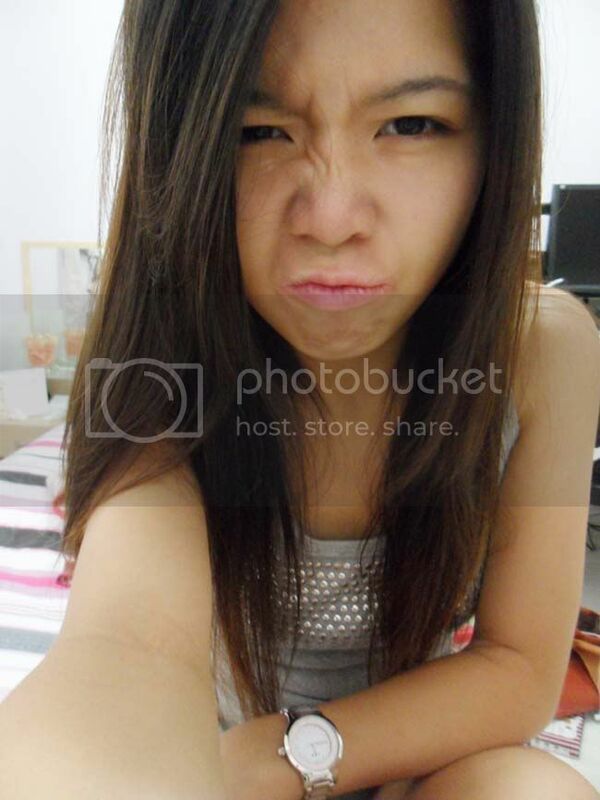 Haih my mouth is like being stretched 3 times its size. T________T Lip balm is my savior!! I applied it like once every 15minutes thereafter! 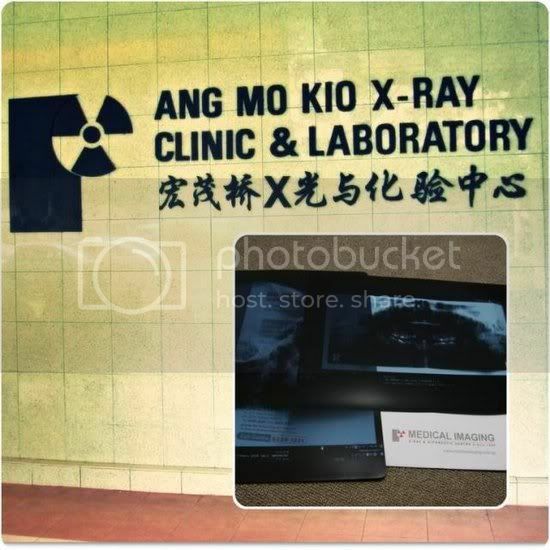 And after the consultion is done, was given a referral letter to Ang Mo Kio clinic for two X-Rays! So I promptly went over the next day. Queue is short and the whole procedure + waiting in the queue is like done within 30minutes! For OPG, Was told to bite onto something, where things were secured around my mhead to make sure I get accurate results. 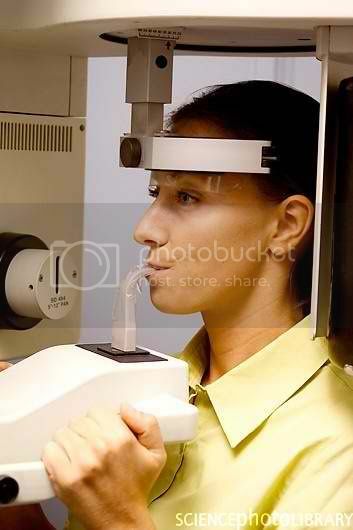 So the machine actually goes around your head once and thats all!! And for the cephalometry, I just had to stand beside something, one beep and its done!! requested to self collect my X-Ray results and have them delivered to my dentist myself because it would be faster this way!! School is reopening soon and I wish to do everything ASAP. 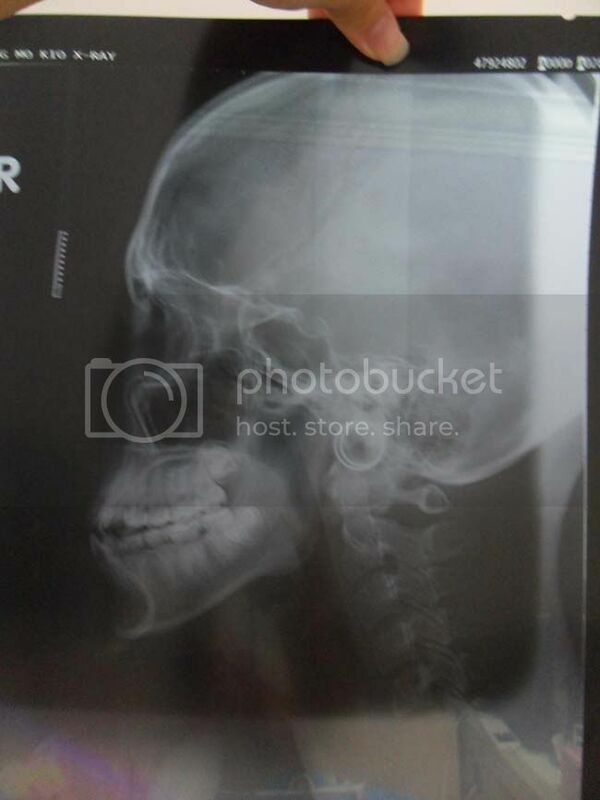 Because I self collect my X-Ray results.. you all get to see this!!!!!! muahahaha NOT for the faint hearted who's afraid to see bones / skeletons. 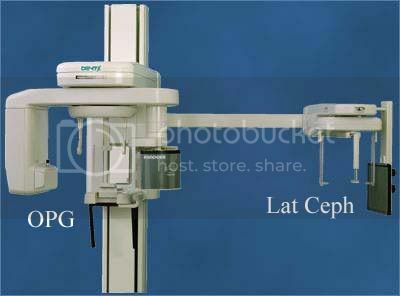 Lateral cephalometry - the side view of my face!! Zomg!!!!!!!!!!!!!!!!!!!!!!! Looks so.. interesting!! And whats with my chin!!! LOLOL!! you can even see my wisdom tooth!!! And the two hollow parts for my eyes, my backbone!!! hehehe and I think I've got a CUTE NOSE LOL!!! And this is my OPG results!!!! And heave in relief that my 4 biscupid (molar) teeth do not have roots that are too long!!! Am super afraid for my extraction... worrying they'll be painful!! And if you can actually decipher X-ray results maybe you can see the overlapping teeth on MY right side's top set of teeth. But since they are overlapping completely its hard to see. Neither can I lol!! Best of all.... I SEE MY WISDOM TOOTH!!!!!! Still sleeping within my gumbed.. yes yes be good.. dont grow out!!!! 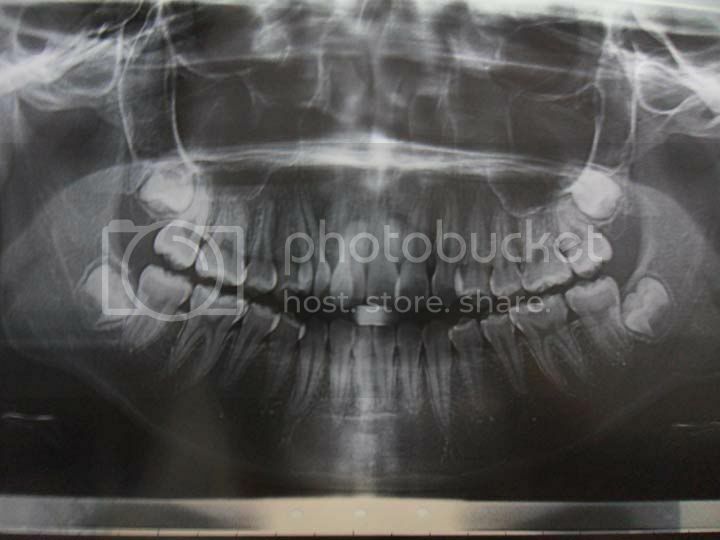 Omg.. seeing the X-Ray results and wondering if my tooth will look exactly the same if they were to be plucked out... ITS LIKE A PREGNANT MUM LOOKING AT HER BABY SCANS!!!!! Okay maybe its somewhere near, just that its the feeling of fear and uncertainty for me. LOL. Have delivered them to my dentist yesterday and Im waiting for my dental scaling and polishing appointment next tuesday!! I can finally have clean teeth!!! Sometimes I feel like shooting my myself in the head, because back then in secondary school.. visiting the school dentist has got NO COST INVOLVED!! And I even prayed that my dentist would not do anything to me, especially dental scaling and polishing. Cant believe I just had my consulation last week and now I'm at lighting speed!! Im forseeing that my extraction will be this coming thursday!! Not too sure, dentist will confirm with me again when I got for my scaling and polishing appointment. So for those who stays in the north, and is interested regarding the details, here it is!! Xrays: $100 Depends, mine was for 2 big X-Rays. So in total it is around $4400 in total!! One word of advice, please do check with your dentist (if you decide to go to other clinics) whether the price for braces is fixed or not! Because some clinics works in a way that each time you go for check up, you have to pay $100/$120 even after you have paid like the full sum of $3500 / $4000 quoted for you! So its "bo hua" for those doing 2 to 3 years! And here is the website where I said it has most of the clinics contacts in all areas of Singapore! Gogo check yours today!! Dont be like me, wait until so late then start! And this is my clinic's details! quite suave in a way one!! = plus point for dental appointments!!! LOLOL. 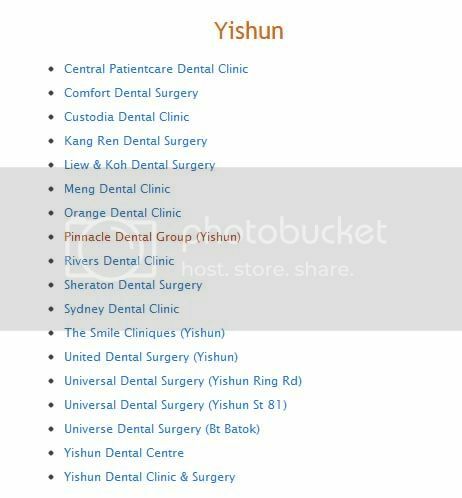 I happened to be staying in Yishun and is looking for reliable dental clinics for braces around home and chance upon your blog. Great post! 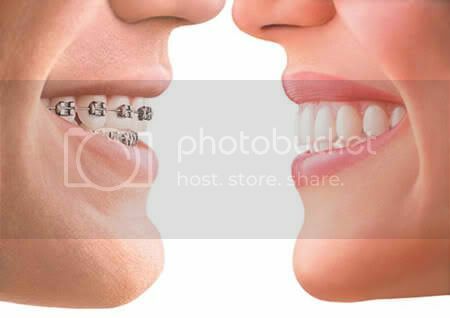 Dental Braces are so important really. Dental issues are so sensitive. we should take these things seriously. A few days ago i got my dental surgery from a costa rica dental tourism and they are really good at this. My daughter recently had her invisalign procedure from Nuffield in Bedok. Great service - highly recommended. Do tell me if there are any updates to the recommendation of clinics in the North! I stay at Ang Mo Kio, and have considered Casa Dental, but it seems too new, and only ONE website is recommending it. Casa dental is great and i am doing Invisalgn with Dr.Jasmine Lee, she is one of the few dentist in singapore who achieve as a Platinum Elite Invisalgn provider. Great-great post! I'm also planning to have a dental braces installed on my teeth. Please DO NOT go to A line Dental. 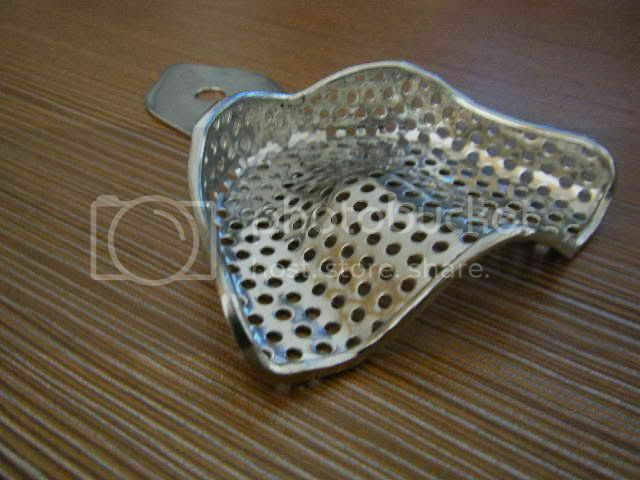 I have been experiencing many problems since my braces with them. This was my last straw and i asked if i should remove my braces instead which the dentist agreed. Bad Move. As a specialist, he should be aware that i had NO BITE. Meaning my upper n lower teeth don really match each other ( seriously dunno what he did to my teeth alignment) and i have difficulty chewing. Spent 3k on braces and having to spend even more to rectify it. Not even sure this TMJ will be cured or not. Please think twice before visiting A Line. The dentisit is not taking responsibilty for this. And btw, i even showed Dr Tan my alignment getting more and more slanted per adjustment and all he said was will be ok.
great ideas to know more bout braces which specifies some clear concepts for braces treatment. family treedental Centre is one of the best dental clinic in North York that gives you perfect treatment of your dental problems with German techniques. Check with local dental societies to see if they have low cost clinics they recommend. Try contacting a local medical school and see if they would take you on as a patient. They usually don't charge or charge much for their treatments but it takes time for them to do their work and they do not take everyone who comes along. Learn more: gotoothache .